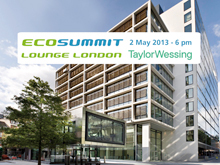 Archive for tag "Ecosummit Lounge London"
Ecosummit TV: This is a short video recorded at our second Ecosummit Lounge London on 2 May 2013 at Taylor Wessing. It features very nice pictures of the city, another red bus going green for London and a preview of ECO13 Berlin, our 5th cleantech conference for startups, VCs and corporates. 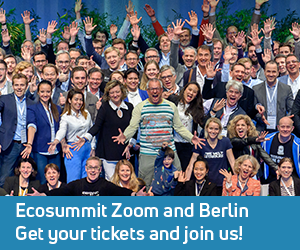 We also talk about the launch of Ecosummit Market, our new online platform for startups. 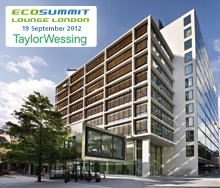 Ecosummit Market is integrated with Ecosummit Award. 43 award nominees are busy mobilising votes on Facebook until 27 May. The application deadline for new startups to join the competition is 20 May.